Today we’re talking ETFs. But not just your average run of the mill funds; today we’re talking about the best S&P 500 ETFs of 2018. Over the past several years ETFs have blazed the trail in popularizing passive investing. ETFs, or Exchange Traded Funds, are securities that track a specific market (like a specific index or commodity). The funds are professionally picked and traded samples of the markets they wish to track. Because of their low fees, historically high returns, and high liquidity, they have become a trendy investment vehicle and offer a relatively low risk option to long term investors. But with all the big name investment firms scrambling to put together the perfect ETF, it becomes easy as a consumer to get confused among all the options. One first must decide what market they want to invest in, then must find the lowest costing and highest returning ETF in that market. So, to narrow the scope a bit, today we’ll discuss ETFs that track the S&P 500. 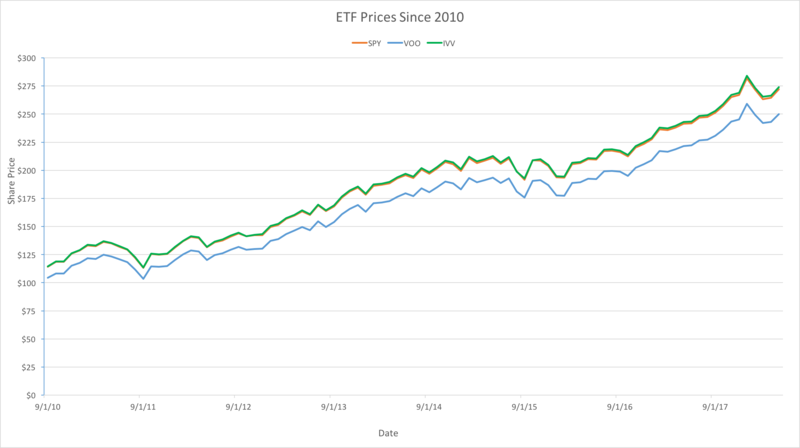 Then, you can take the metrics used to compare the S&P 500 ETFs and apply them to other ETFs across markets. 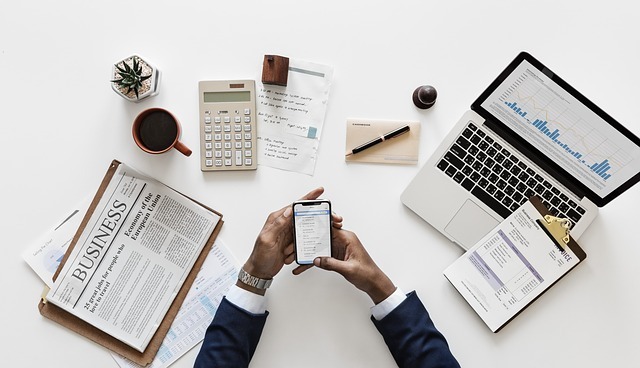 State Street Global Advisors’ SPDR (SPY), BlackRock’s iShares Core (IVV), and Vanguard’s S&P 500 ETF (VOO) are widely regarded as the three overall best ETFs tracking the S&P 500. Over the past few years, over $100 billion worth of investment has been channeled through these three funds. All three are professionally managed large cap funds with almost the exact same YTD, 1 year, 3 year, and 5 year returns. But, there are some slight yet possibly important differences that may affect which investors choose which fund. The three primary differences among the funds are their assets under management (AUM), expense ratio, and dividend structure. AUM tells us the potential for how much volume can be traded, can indicate how successful a fund is over time, and how important that fund is to the firm that manages it. SPY blows the other two funds out of the water with $267.29 billion under management with IVV and VOO holding $152.67 billion and $85.68 billion respectively. Largely this is due to the fact that IVV and VOO are newer funds, although clearly all three are well established due to their massive market caps. As an investor, if you care deeply about volume and historic reputation, AUM points to SPY, but again all three have a lot of clout in both metrics. On the expense ratio side of the coin however, SPY comes up far short of its competitors. SPY charges 0.09% management fee, whereas IVV and VOO charges 0.05% and 0.04% respectively. Again, not to be unfair to SPY, all three are relatively very low cost, but comparatively SPY almost doubles the price of its competitors. The more money you want to invest, the more this number becomes important. But regardless, Vanguard and BlackRock offer the cheapest ETFs on the market. Finally, because ETFs trade like stocks, what do these three funds do with their dividends? IVV and VOO reinvest their dividends until the payout date, which is an extremely attractive perk to a long term investor. SPY does not. Technically and legally SPY is structured as a Unit Investment Trust and because of tax reasons must hold its dividends as cash until the payout date. This unit investment trust structure also means that the assets in SPY cannot be traded nearly as easily as the assets that make up IVV or VOO at any given time, making SPY less adaptable and flexible. The upside of the UIT structure is that it has potential to be much more tax efficient, meaning taxes affect the earnings of the managers and consumers less. Since September of 2010, the first month that all three funds existed simultaneously, SPY and IVV have outperformed VOO consistently. But, SPY is has almost double the expense ratio of IVV and does not reinvest its dividends. By the numbers, it seems the clear choice is IVV, a fund that balances an inexpensive management fee with high returns and a tactical dividend reinvestment structure.